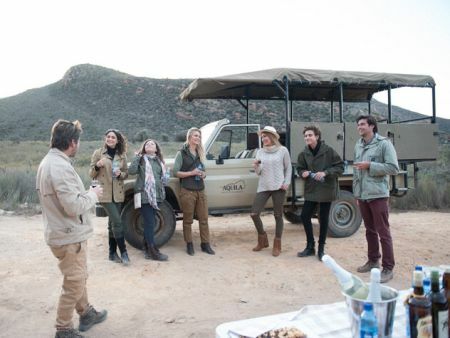 The Overnight Standard Safari includes 2 Game Drives, Lunch, Dinner, Breakfast and accommodation in Luxury Cottages for up to 2 guests. 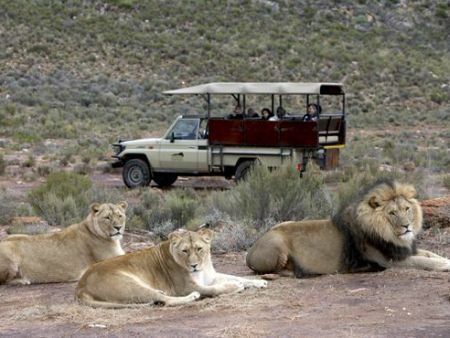 The Big 5 at Aquila Private Game Reserve lying outside the town of Touwsriver; just less than two hours drive from Cape Town. 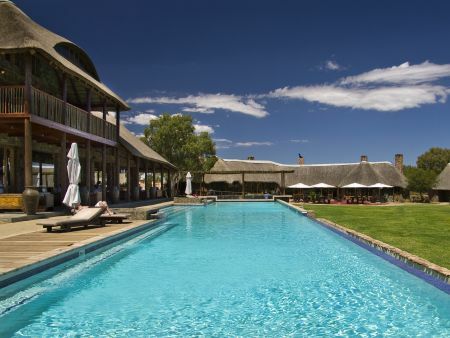 Set in the pristine Southern Karoo Highlands against a backdrop of dramatic mountains, the Game Reserve offers an exciting taste of real Africa. 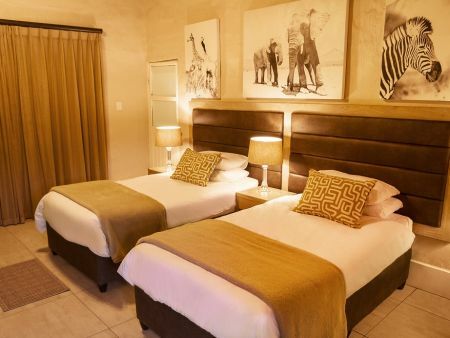 The Aquila overnight safari doesn’t spare on spoiling. Welcome cocktails are served on arrival, either outside around the pools, or in front of a log fire in the cigar bar. 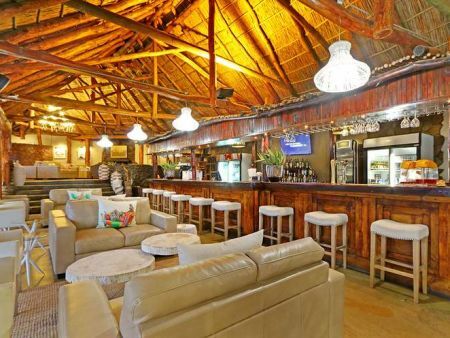 Before the safari departs a sizzling lunch is served at the African character restaurant. For an extra indulgence, book a treatment at the new Tranquila Spa. 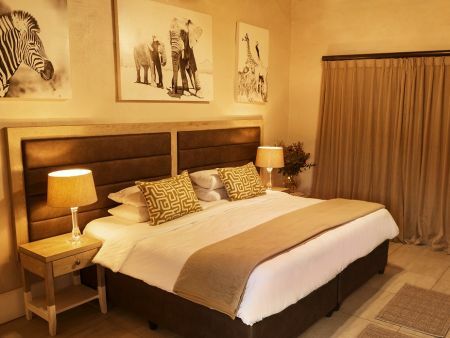 The overnight safari Cape Town boasts a 2 – 3 hour game drive with an Aquila Game Reserve specialist. Awaiting your return is a traditional African barbecue, cherry champagne over swopping-safari-stories, and luxury accommodation. Standard Luxury accommodation is a collection of semi detached units. 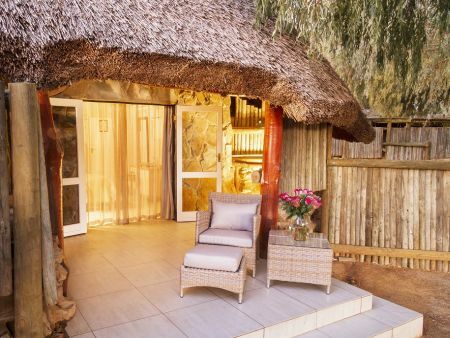 Chalets have thatch roofs and feature exterior stone work. 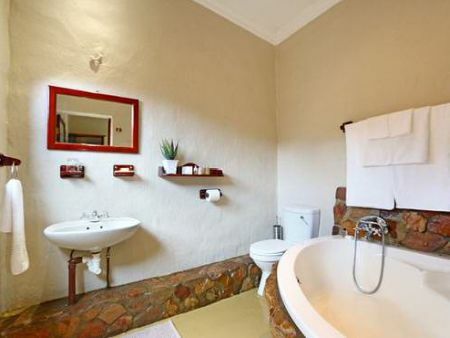 Each unit is a unique contemporary African design. In keeping with the design and flow of the architecture at Aquila, the Standard Cottages do not compromise the experience or the standard. Each has its own patio, corner bath and outdoor rock shower. Cottages are equipped with mini bars, fans and feature ‘coal’ stoves for the extra bit of warmth and coziness in winter months.